The job application process can be long and arduous with no guarantees or success or satisfaction. And now, more than ever, traditional advice regarding job placement has become outdated and potentially damaging. Consider the old adage about taking any job available to get your foot in the door of an industry. While this may have been valid advice 40 or 50 years ago, today it is obsolete. In fact, having a job that best fits your personality, goals, and expectations leads to higher job satisfaction and an overall improvement in your well-being. Once you have determined the field of work most meaningful to you, ask yourself some simple questions to help identify how you would like to use your skills to lead a purposeful life. How are these characteristics manifested to others? How can I use these characteristics in my professional and personal life? 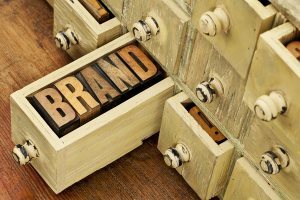 When you understand both what you want to do and how you can best express yourself through your work, it is time to do a little personal branding. Branding allows you to differentiate yourself from your competition through reflecting your principles and personality through your actions. In creating a brand, focus on summarizing yourself in a distinct and unique way. Summarize the qualities that you exhibit that would most benefit an employer offering a job you find meaningful. Describe what you do and how this could add value to an employer. Distinguish yourself from other applicants through depicting your unique qualities and skills. Express your goals and how a particular job will help you meet those goals. Through considering all of this information together, you can work to develop an overall career goal, which can help guide you to your ideal job and indicate where you may want to work. Before embarking upon a daunting and time-consuming job search, simplify the process by focusing on who you are, what you want, what you have to offer potential employers, and what types of jobs can help you reach your goals.